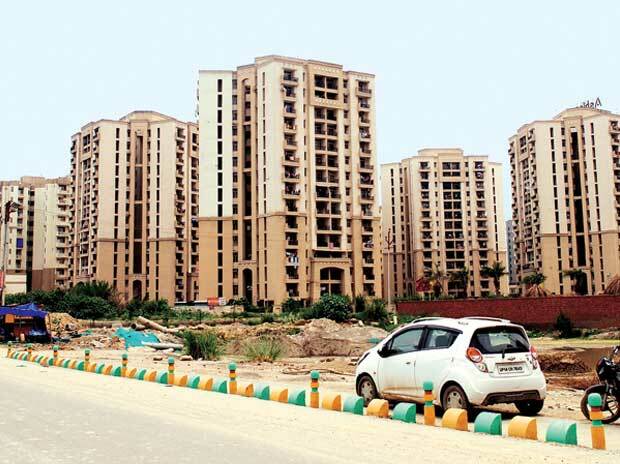 Global investment company Blackstone and realty firm Embassy Group will in a few weeks launch the country's first real estate investment trust (REIT) with an estimated issue size of Rs 5,000 crore, a top company official said. Embassy Office Parks, the joint venture firm of Blackstone and Embassy, had in September last year filed the draft red herring prospectus (DRHP) with the market regulator Sebi to launch REIT, touted as the Asia's largest in terms of portfolio size of 33 million sq ft.
REIT is an investment tool that owns and operates rent-yielding real estate assets. It allows individual investors to make investment in this platform and earn income. Sebi had notified REIT's regulations in 2014, allowing setting up and listing of such trusts, which are very popular in some advanced markets. "We will launch our REIT in few weeks," Embassy Office Parks CEO Mike Holland told PTI. "We already have a strong book of anchor and strategic investors. The REIT will be successful as in other countries and Embassy Office Parks will set a precedent for the REIT in India," he said. Holland expressed confidence that the REIT in India would be successful as it has been in other countries like the US, the UK, Australia and Singapore. When asked about the size of the issue and expected return to investors on its REIT platform, he declined to comment. Banking sources had earlier pegged the issue size at over Rs 5,000 crore. The internal rate of return (IRR) for unit holders is expected at around 9 per cent in the first year and about 18 per cent in a five-year horizon. Embassy Office Parks, a leading player in commercial real estate, has put 33 million sq ft of office and hospitality assets under its proposed REIT comprising of seven business parks and four city-centric buildings spread across Mumbai, Bengaluru, Pune and Noida. Out of 33 million sq ft, about 24 million sq ft area is operational at 95 per cent occupancy and yielding rental income of over Rs 2,000 crore annually. Another 3 million sq ft area is under construction and 6 million sq ft area in pipeline. Embassy Office Parks' rental income is expected to rise by 55 per cent in the next three years as it expects to lease area at a higher rent. The JV firm has top MNC clients in its commercial projects. More than 50 per cent of the rents come from Fortune 500 companies. Clients such as Microsoft, Google, Wells Fargo, JP Morgan etc have their base in the office parks. Unlike housing segment, the commercial real estate sector is doing well and attracting huge investments from domestic and global investment firms. The rising demand for co-working space is also fuelling demand for office properties. Apart from Blackstone-Embassy, realty firm DLF is a major player in commercial real estate with a portfolio of over 30 million sq ft and a rental income of about Rs 3,000 crore. Singapore's sovereign wealth fund GIC had invested Rs 9,000 crore in December 2017 in DLF's rental arm. Brookefield, Canada Pension Plan Investment Board (CPPIB), Ascendas and Qatar Investment Authority are also investing in commercial real estate. Many real estate developers are creating a strong portfolio of office space.